← VA GOING TITLE 38 ON SES? A great jetgun win and one nexus letter was from none other than the Vet’s VA PCP. Of course, it did take a second letter from a civilian medical “expert” to seal the deal. Being a Vet, you have to understand that anything you say is a lie and you just want VA Welfare. I was not shocked to see someone couldn’t resist throwing the IV drug abuse and ETOH hand grenade into the c-file. Kenneth Lavan was the able attorney on this one and wisely went out and fetched another IMO from a Registered Nurse. It works every time. Most importantly, it works like this at the BVA. The VA shoots you down at the RO and you appeal. When you submit that second IMO, VA rarely comes back with a second IME themselves. If Johnny Vet here had an earlier effective date of 1970 and this was CUE, rest assured VA would fight him to the death for it. P.S. Here’s another. Same MO- no salient risk factors except for Mr. Jetgun. Please note that these are wins using attorneys-not VSOs. 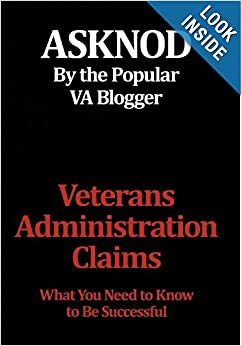 This entry was posted in Uncategorized and tagged ASKNOD BOOK, asknod.org, asknod@wordpress.com, Disabled Veteran, DIY vA Claims, Gulf War Claims Help, Gulf War Vets Help, HCV Decisions, HCV Health Tips, HCV Veterans, HCVETS, Help with vA HCV Claims., Helping Veterans, Jetguns, Korean War Vets Help, Service Connection, VA claims, VA HCV Claims Help, Veterans Benefits, Veterans claims help, Vietnam Veterans Claims Help.. Bookmark the permalink. I forgot to add that in this day and age, doctors can test for the different types of Hepatitis you had 40 years ago. Each type provokes a repsonse in the immune system that generates an antibody to fight the hepatitis. Thus, if you ever had Hep A, B or C, you would have the antibodies to it in your blood. Forever. For years, I thought I had contracted Hep A in Laos after my transfusion. In 1992, a blood test revealed Hep B antibodies. After further testing in 1995, they also found the Hep C.
If VA characterizes what you had in 1968 as Hep A or B rather the onset of Hep C, ask for the across the board tests for all three to determine the truth. VA will always shoot you down with a Dx of Hep A whether you ever had it or not. Prove them wrong. Remember Groves v. Peake (2009). If you had Hep of any kind in service, and they can’t figure it out, then the hep you have now is more likely than less likely to be same as what you had in the service absent any contemporary testing at the time. Hello Alex, Ray here. Question. I am at the BVA currently w/ 70k claims ahead of me. I just got a letter from my Gastro Doc stating the Hep-A was Hep-C. I was going to mail it to the evidence intake center so they can get it to the BVA. Should I wait for a decision or submit this now. I was told if I submit it now it will slow down my decision. How could it get any slower than 70k claims in front of me. VA.GOV new site Thanx for your help. It will not slow down your appeal. 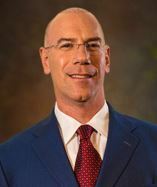 Make sure you file a waiver of review in the first instance to keep it at the BVA-otherwise they’ll transship it back to the RO and that, my son, will definitely add a year to the appeal. Any letter such as you mention must have a reasons and bases for the conclusion that what manifested in 1970 as Hep A was indeed Hep C. Thais can be accomplished by being tested for all the Hep antibodies -i.e. 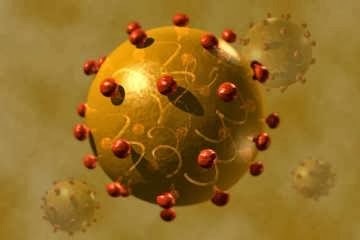 Hep A, B and C. Obviously, if you have no antibodies for Hep A, then you’ve never had it before-ipso facto, the hep ? you had way back when in service cannot have been Hep A. VA uses this frequently to deny with. I have a client (Malcolm in the middle) we’re discussed here on the blog who for years has fought to prove the hep in service was a combo of Hep Band C. VA insists he never had HBV in spite of the HAA-positive test in 1991. Funny thing is they insist they tested him for HCV even though there was no test for it commercially available until 1992. In 2004 the VA baldly declared he never had HBV based on a HBV test to see if he had it actively! Tests don’t lie. I had Hep-AA according to doc 1972. Had test for A B and C 1995, no antibodies for A or B but positve Hep-C this was done in 1995 and I have the form that the Gastro printed out. I will include this with the Gastro’s letter. Should be good to go. Or should I get another test done? What I don’t get is I had Hep-A (according to the army) in Jan of 1973 .and it wasn’t discovered until Dec,. of 73. So how is it they called it Hep-A? Because it was Hep B and C together. The Australia antigens test came out in 71 but nobody had it out in the boonies. If it lasted over two weeks it was Hep B. The military might have had the Australian Antigens Test in the states by 1971 but it was nonexistent and unavailable in Vietnam or SEA. Or Germany, Italy, England etc. until well into the mid-seventies. A liver biopsy dates the infection. If you have a Stage 4 (Metavir) it was over 45 years ago. It it’s stage 3, then 35ish years. A liver biopsy is a very good measure of the time of infection. I got mine in Sept. 1970. I was stage 4 by 2012-42 years. Each stage generally represents 10-14 years since infection. VA would have no way of determining what you had way back when. They couldn’t even tell whether it was A or B in 1970. Stage 3 1995….shots 1970 … Cirrossis and Transplant 2007 stage 4 /sent info to SPrice today / she is going to write a letter or Nexus…Might as well can’t hurt. Thanks Alex I’m trying all angles to win this. That is the first time I see a Registered Nurse’s opinion being considered as “expert”. So I was thinking, since I’ve been a Registered Nurse for 35 years, I used to be a Hep C speaker for Schering and AdvancMed (they do education for nurses and doctors), was in charge of the education and treatment follow-up of hep c patients for a large HMO for several years, cowrote a paper with Dr Peter Scmid, inventor of the most sensitive HCV viral load test and I am now Research Assistant for Dr James Freeman who is doing the largest Hep C clinical trial in the history of mankind, then I too can be considered an expert, don’t you think? The reason being is there were no tests until 1989 for Hep-C …Hep-A was discovered in 1973…..